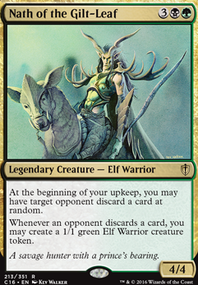 how does reman interact with other counter spells? 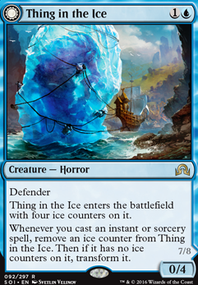 1) you have a lot of very expensive cards (mana-wise), which means you’ll be hoping for a late-game win. However you don’t appear to have many ways to help push the fame out later. 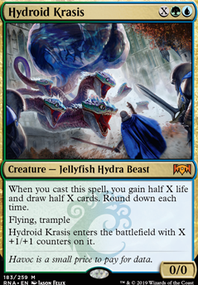 A lot of decks are going to stomp all over you before you can get going - you need more control and killspells. 3) Delay feels really weak in that it will just make the later game much harder for you, and not really stop anything. Mana Leak just feels stronger. Or Remand . 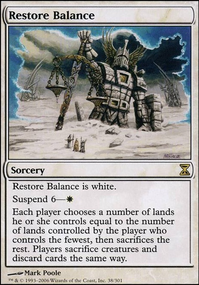 5) why the urza lands? With only 1 of each they’re never going to ampunt to anything. And there are better colourless sources out there. I'd say Mirage Mirror won't work on the Scepter - it can copy the artifact, but it won't have any spell imprinted on it. It could copy a flipped Thing, but seems a like a long shot. I think it's going to be a dead card often, and when it isn't, I think it's going to be unnecessary. Sure, ideally you get 3-4 Scepters down. But realistically, you're going to be lucky to get more than one before either you or an opponent wins. 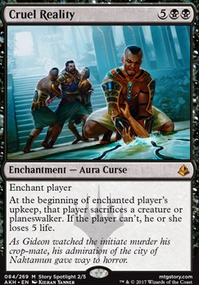 Having instants that you can cast to prevent opponents from winning while you build up your mana and get a Scepter down is going to be key. Playtest it and see how many Scepters you can get down quickly. Every three turns that pass, you'll need another Scepter. So if you playtest to T10, you'd need 3 Scepters to safely assume you'd still be in the game. 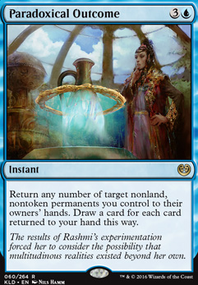 I suggested Remand because it's mono-blue and draws you cards. That seems better than Deflecting Palm. Opponents can keep trying to cast a spell and you can just keep countering it and drawing cards. 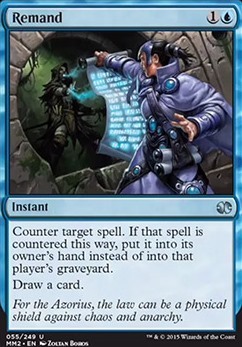 Of course, there are lots of other counterspell options for 1-2cmc that would work.